In response to filmmakers' demands, we've created BULL™HEAD - a heavy duty remote head. 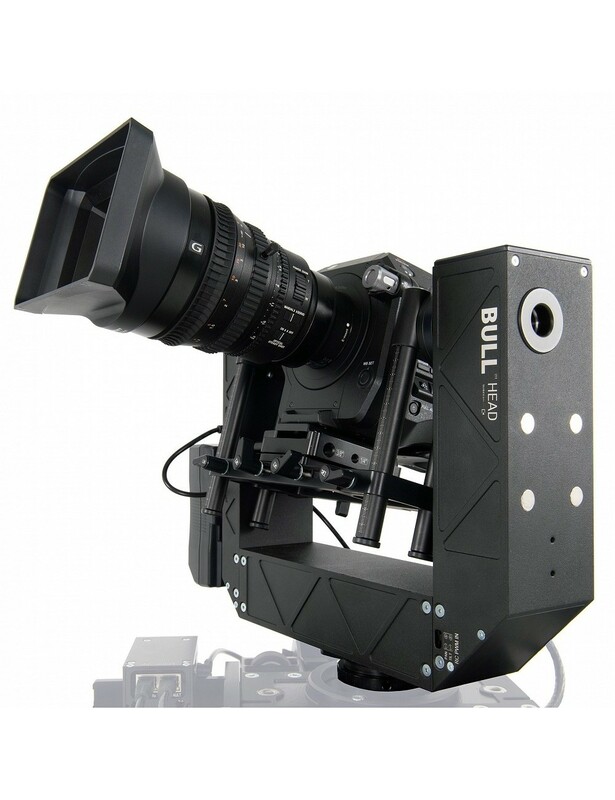 Thanks to its uniquely rigid construction, BULL™HEAD can easily carry cameras up to 8kg, providing smooth motion, without any vibrations or jerks. BULL™HEAD is perfect for any application that requires precise movement: live action, timelapse, stop motion or VFX shots. Its reinforced construction and perfectly crafted machinery make BULL™HEAD extremely precise. It's ideal for creating special effects where repetitive and accurate movement is essential. Warm gears based mechanism guarantees precision of control and safety of your gear, as it works as a brake during power loss. BULL™HEAD is versatile. 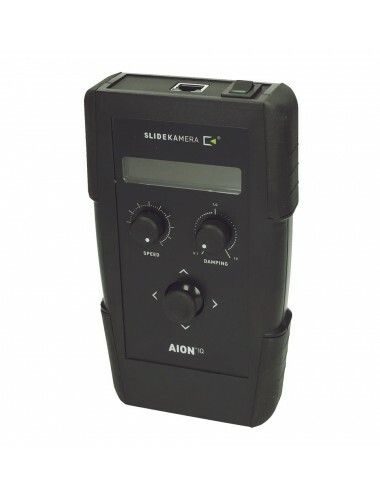 It can be used as a standalone device, mounted on a tripod or any other support. But in motion it shows its best. BULL™HEAD works perfectly as a remote head for cranes and sliders. 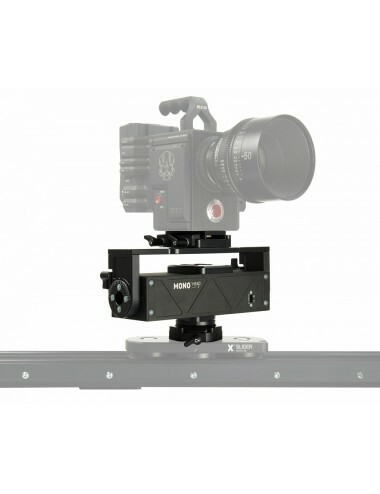 Together with ATLAS™MODULAR slider, it creates an integrated 3D motion control system. BULL™HEAD’s versatility allows to mount it any way you like - vertically, horizontally, or upside down. You can mount your camera close to the floor or to the ceiling. BULL™HEAD with ATLAS™MODULAR creates a perfect motion control system for your studio or stage. playback the recorded motion from the saved starting point. 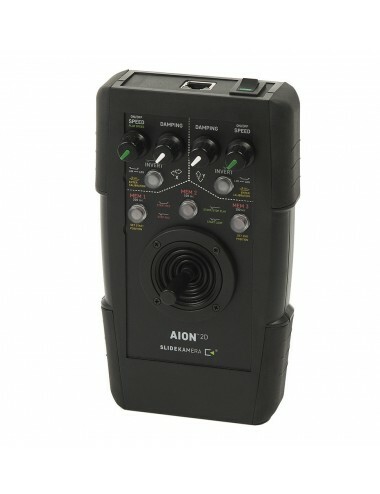 The connection of the AION™2D controller with a steering and powered cable: 5 meters. Electric connectors sockets and the power switch are located on the top wall of the controller housing. 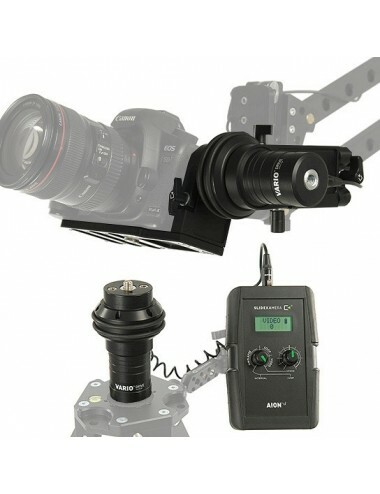 The 1/4” socket in the base of the controller enables it to be mounted to the cart with a 8” or 11” VARIO Magic Arm. Application:evice designed to achieve precise rotation of the camera or photo camera in X-axis and Y-axis. Creation is easier than before! Users who prefer mobile and wireless solutions can controlling BULL HEAD using their iPad or tablet. To do this, you will need to purchase our SLIDELINK™ Wi-Fi adapter and download the Slideye™PRO to your iPad or tablet. The free Slideye™PRO app will give you more comfortable, powerfull and precise controlling Slidekamera™ devices than ever. The SLIDELINK™ Wi-Fi adapter enables the remote control of the devices of the Slidekamera™ system via the Slideye™PRO application (available for iOS and Android tablets) and Slidekamera™ drivers, equipped with Wi-Fi connection. A single SLIDELINK™ is sufficient for controlling the whole system, regardless of the number of devices. In order to increase the freedom of movement of the system it is possible to use a bigger number of adapters. High quality maintenance-free 12V 7Ah battery with a dedicated charger and PSK-7 cover. PSK-7 cover with external power socket not only facilitates using the battery but also allows to carry the equipment comfortably. There is enough place for 12V 7Ah battery with a charger inside and an extra compartment for additional cables.